a. It is an orthodontic treatment which straightens teeth without using conventional metal braces. b. These are clear braces, almost invisible when worn and serve their purpose effectively. Are you self-conscious of your smile because of those imperfect gaps or crooked teeth? Very often, men and women refrain from smiling too wide so that their oral imperfections don’t get displayed to the people around them. Despite such imperfections, the majority of people around the world stay away from braces, as they feel that braces are for kids or braces will make them look awkward. To give a solution to the idea that braces are unattractive, the world of dentistry has got Invisalign to remove flaws and preserve aestheticism. Robert Don Dentistry has experience in correcting dental imperfections using this modern method. These aligners are custom made, specifically designed to correct all imperfections. It makes the teeth shift gradually but requires changing after every 2 weeks. Robert Don Dentistry can show the stages your teeth will go through to eventually straighten it out beforehand. These are easily removable and invisible. There won’t be trouble with brushing and flossing. There’s no involvement of metal wire. There’s no involvement painful adjustments. Getting a set of these clear aligners is easy. All you have to do is visit Robert Don Dentistry in Irvine, California and ask for the treatment plan. It is necessary to understand who this treatment is appropriate for. Patients having severe orthodontal problems cannot use these aligners. 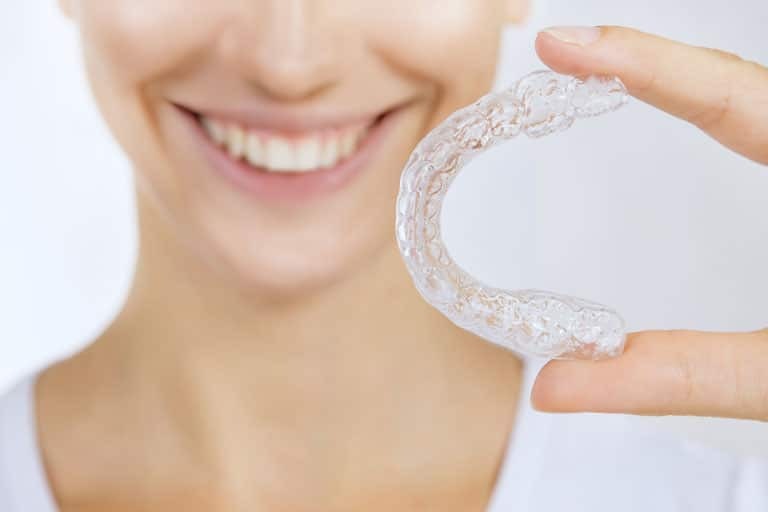 For example, you cannot correct large overbites with these aligners; surgery is the solution for that. These aligners are specifically for adults and teenagers aging toward adulthood. Children don’t respond well to this treatment as they are still growing. Unlike conventional braces, the clear braces can be taken out during eating or for brushing. However, to fix your smile, it is necessary to be dedicated. As these aligners are removable, you must wear them for at least 22 hours or as your dentist instructs to fix your imperfections. How to find the best Invisalign dentist in Irvine, Orange County? If you are looking for the best dentist in Orange County, then turn to Dr. Robert Don. His dental clinic offers a variety of treatment plans that can fix your teeth in a short period of time. The experienced dentists and staff in his team will help you through the process and provide essential advice on how to get the most effective results. Experts here will conduct an initial assessment of your oral condition before developing the treatment plan. They will scan your teeth and create 3D images to precisely show how the treatment will work. They will also explain how long the treatment might take and how the aligners will be fitted after the examination. The team will keep track of the progress until the desired results are achieved. The comfort and convenience of using Invisalign make it a popular choice among all. Have more questions about Invisalign? Contact Invisalign specialist in Irvine California, Dr. Robert Don today to book an appointment or ask any questions you may have.